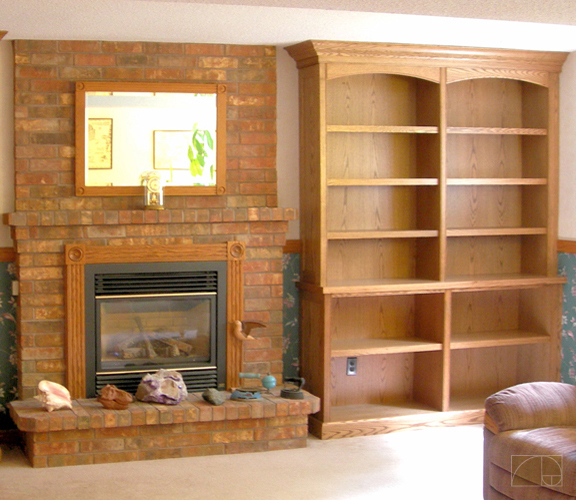 We obviously took this photo before the client had a chance to begin shelving their large collection of books. These cabinets are only half of the shelving we built for them, though. The mirror image of them is on the other side of the fireplace.